We are a young company. But a company with a combined 90 years of experience. A broad network of professionals supports us in making your vision a reality. 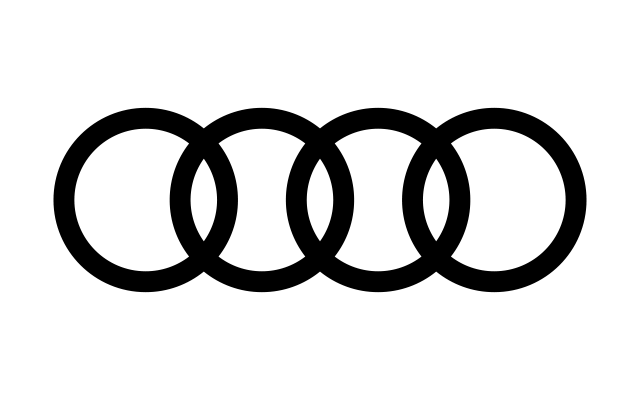 Throughout Germany. 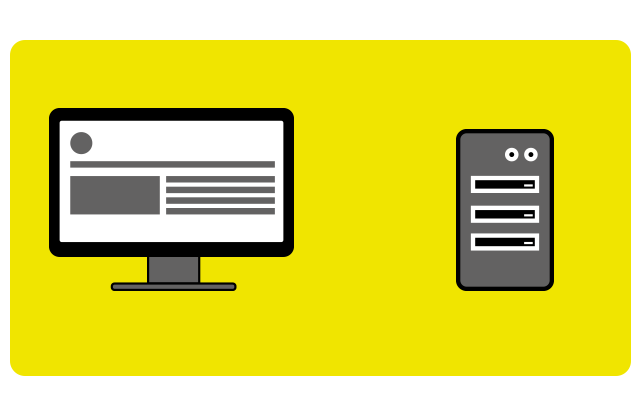 The Base is your information carrier for multimedia content. Whether movies, audio, images, text or PDFs - The Base ensures rapid transfer without impinging on the data volume of your customers. Mr.Signal ensures that you are able to offer your customers, visitors and interested parties multimedia content. What is the Mr.Signal Base? 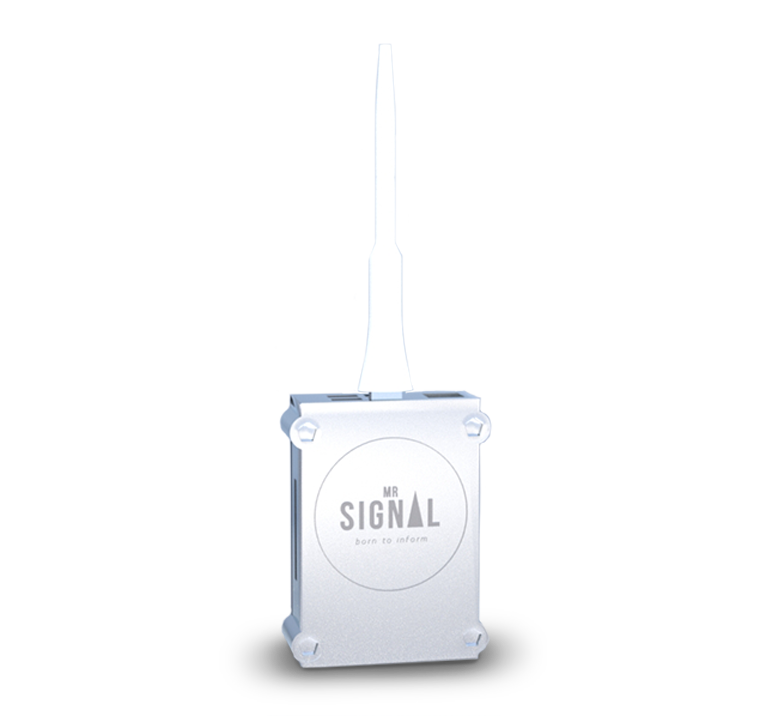 The Mr.Signal Base makes a Wi-Fi network available through which you can offer your content. Your visitors, customers and interested parties connect to this network using their own Smartphone or tablet. Now they can access your video, audio, text, or PDFs at Wi-Fi speed without drawing on the data volume of their mobile network provides. The encapsulated Wi-Fi network of the Mr.Signal Base not only ensures rapid transfer but also contributes to data protection and your IT security. Because the network is provided independently of your internal infrastructure, your data remain as safe as before. Updating the content offered by Mr.Signal Bases is easy. Using the interface provided by us, you adapt everything exactly as you have it in mind. We are also happy to assist you. The data are first stored in our cloud. Only when you are ready will new or changed content be transferred to the respective Base. 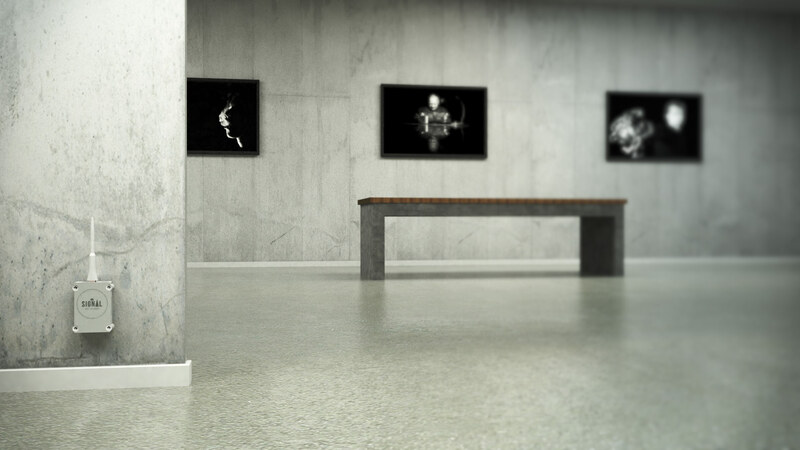 This means you can already prepare everything for your next exhibition right now. You edit your content as needed via the Mr.Signal interface and store it in our cloud. From anywhere in the world, intuitively and easily. 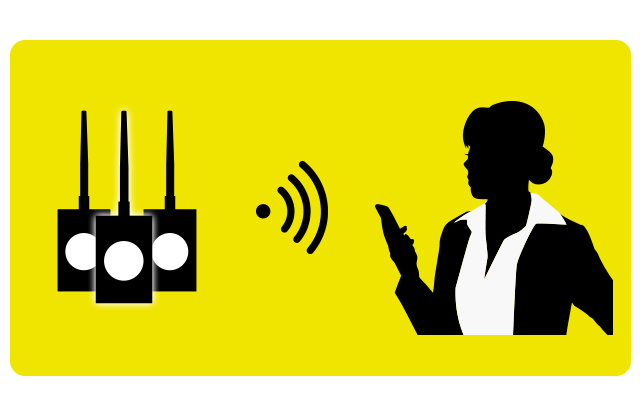 Your Mr.Signal Bases are updated and your customers and visitors can access them using their own Smartphones. Mr.Signal created a completely barrier-free for the root cave in the Hainich National Park. 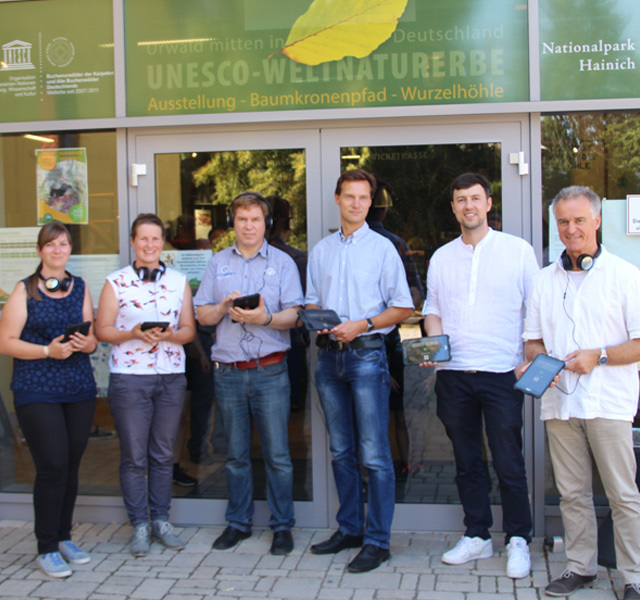 On the approximately 1000 square meters of the UNESCO world heritage site visitors are now offered a wireless network. 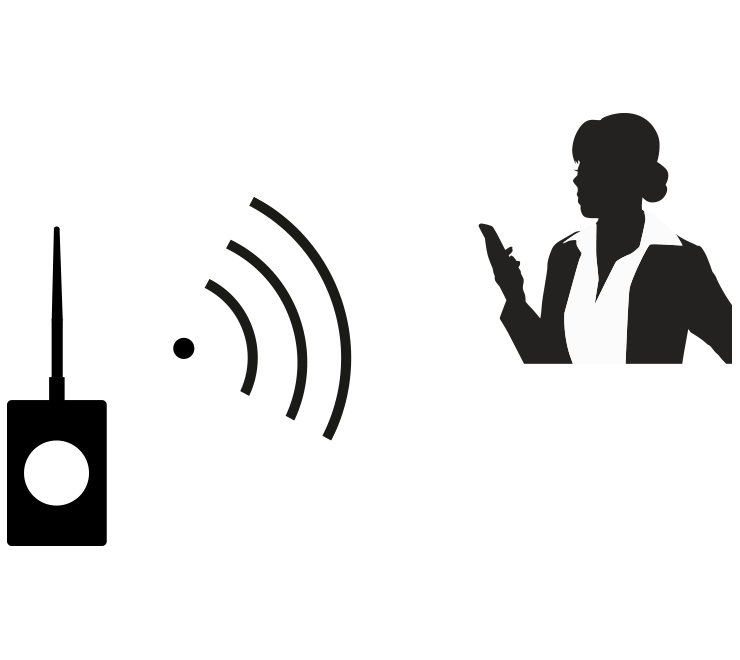 Mr.Signal allows a "standard guide" in German, English, Dutch and Polish, and also offers sign language as a video tour. Also on offer: Simple language, for users with learning restriction or slight dementia as well as lively, visual language for the visually impaired. In addition, there is also a digital quiz for children. The goal of Mr.Signal to offer a completely barrier-free media guide was achieved. 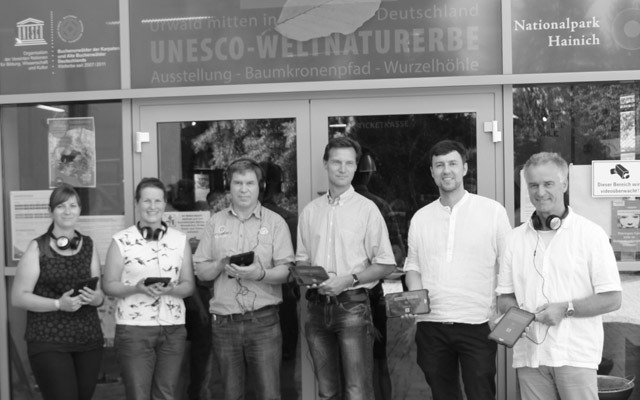 30 robust tablets are available for visitors without their own smartphone. 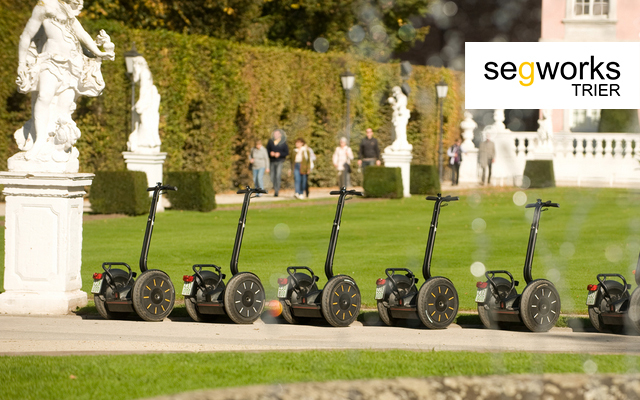 Mr.Signal created a mobile Media Guide for Segway Tours in the oldest town of Germany called Trier. 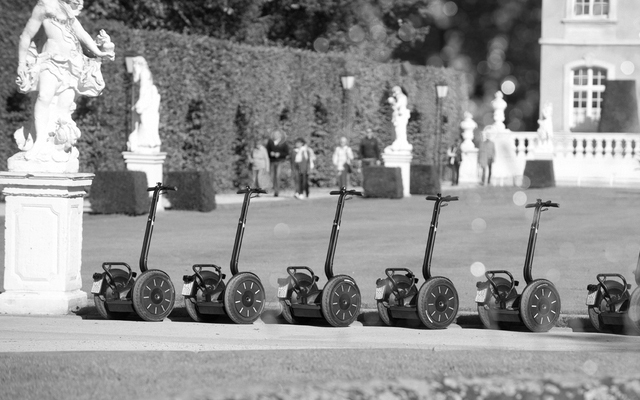 Visitors can not only enjoy a quick ride on the Segways but also listen to individually attractive audio samples to the sights like the Porta Nigra or the Roman Bridge. This makes the tour through Trier a real experience. Technology fascinates people and humans are fascinated by technology. This has not changed since the invention of the wheel until today. And surely this will continue in the future. 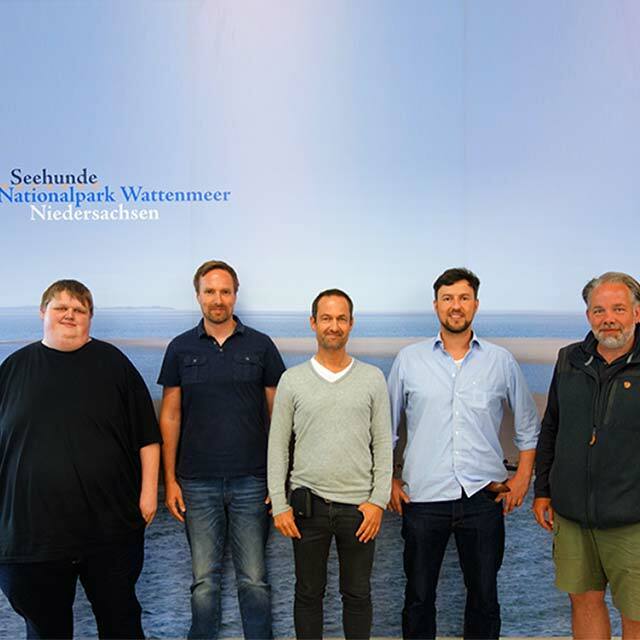 As part of start-up funding for Regensburg University of Applied Sciences (OTH Regensburg), Mr.Signal was asked to develop a proof-of-concept and present it at the University. Three late medieval, half-timbered houses where the history of craftsmanship is told in a contemporary fashion. With the Mr.Signal Bases, Mr.Signal locally provides additional information and audiovisual experiences to go with the exhibits. 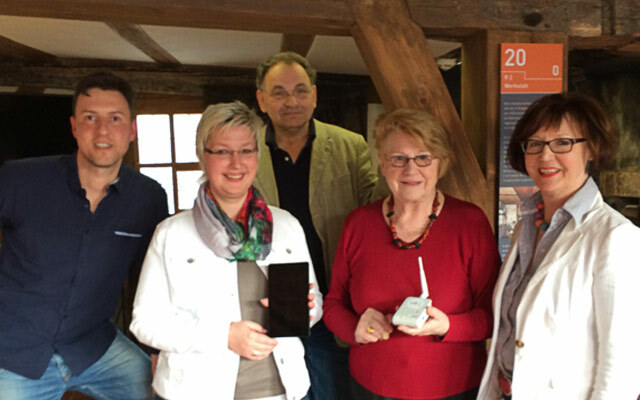 As its first reference project, Mr.Signal had the opportunity to provide information at the Museum Village Düppel about how life may have been 800 years ago, in the Middle Ages. Here, history is not only for looking at, like in other museums, but for touching, trying out, hearing, smelling, reading and participating. 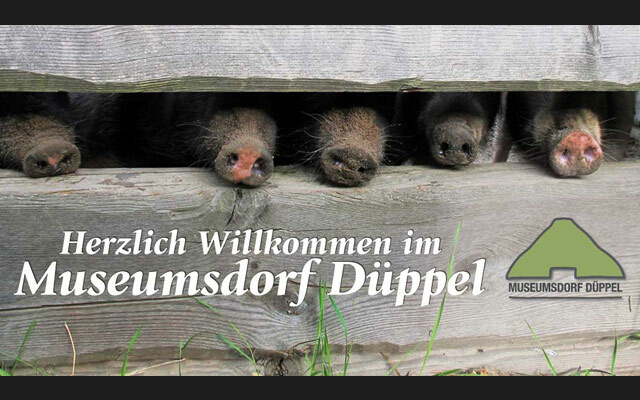 In Düppel you can, for example, experience how the villagers lived and worked: their houses have been reconstructed as accurately as possible, old crafts such as pottery, blacksmithing and foot-powered woodturning are researched and practiced by the staff, and visitors can also try their hand at some of them. Fansa initiated a highly successful touring exhibition on experimental archaeology, which was shown in more than 30 European museums over a period of 14 years. At the Museum in Oldenburg he was also responsible for other large exhibitions, e.g. on Frederick II and Lawrence of Arabia. 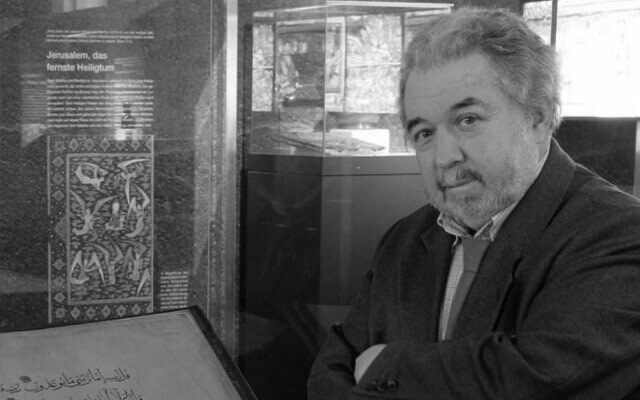 Fansa was also the initiator and founder of the European Association for the Promotion of Experimental Archeology and its president until 2008. The exhibition 'Arrived' by multicultural group 'Migrants in Action' was the concluding event of several integration projects that allowed children with a migration background to deal with their past, present and future in an artistic way. 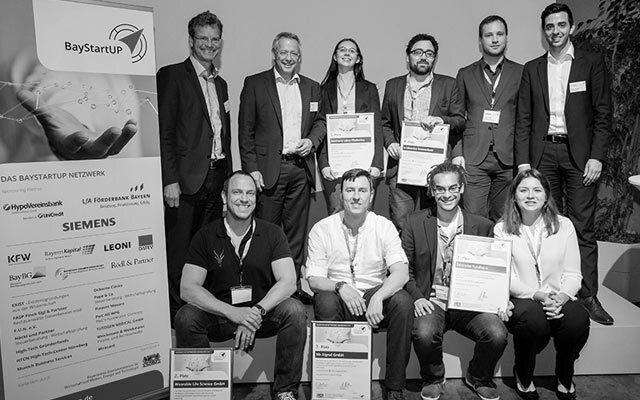 Mr.Signal managed to get through to the second phase of the Northern Bavarian Business Plan Competition 2016 and, having won 3rd place, is standing on the dais for the first time. 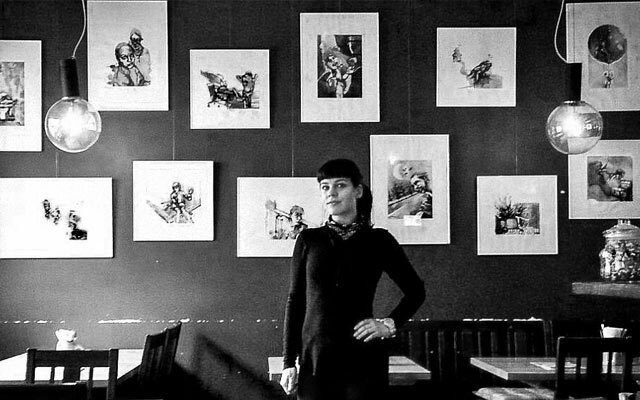 The illustrations by Julia Freisleben are a re-interpretation of the 1904 book 'Peter Pan' by J.M. Barries. The title 'Yes we lost our marbles Welcome to Neverland' alludes to the zeitgeist of her generation: Busybodies, the 'problem children', the creative, the lost and the confused are the ones most likely to find themselves reflected. Freisleben deliberately breaks up the often whimsical and thought-provoking situations in her images through her use of a rather gaudy colour palette. The world as seen through my eyes! 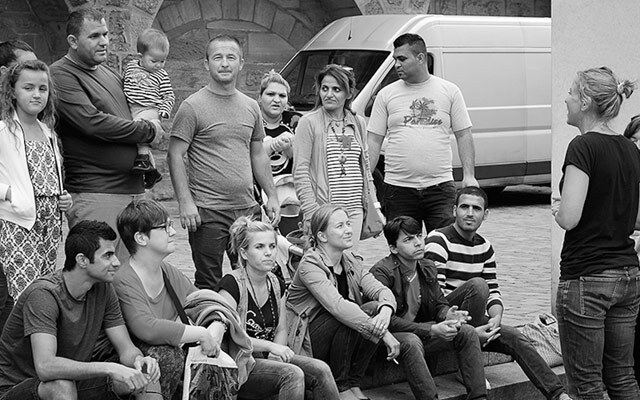 Women with refugee experiences introduce themselves and their living conditions. In multilingual interviews, the viewer can, behind the portrait of a laughing woman, understand her desires and concerns, and listen to her voice in her native language. Selfies taken by the women complement the image of a strong woman. 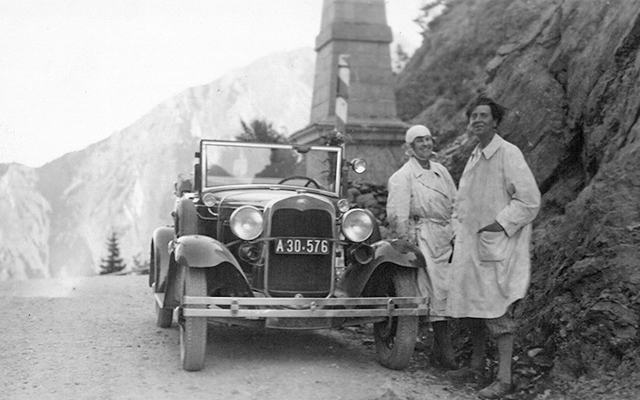 In the summer of 1930, the famous Viennese composer Alban Berg (1885-1935) purchased a Model A Ford from the royalties received for his successful Opera "Wozzeck". The "Blue Bird" - as Berg called it lovingly - is now on display right outside the musical instrument collection at the Vienna Museum of Technology. Through the technology provided by Mr. Signal, visitors can experience multimedia content about the composer and the Model A Ford in four languages. 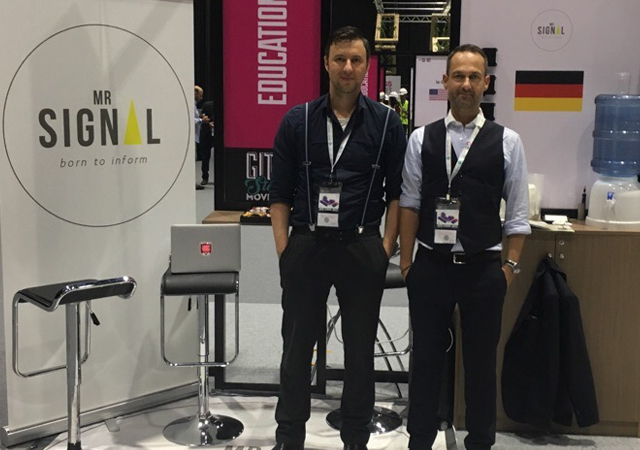 The Mr. Signal Team was one of the few German start-ups to be invited to the GITEX 2016. 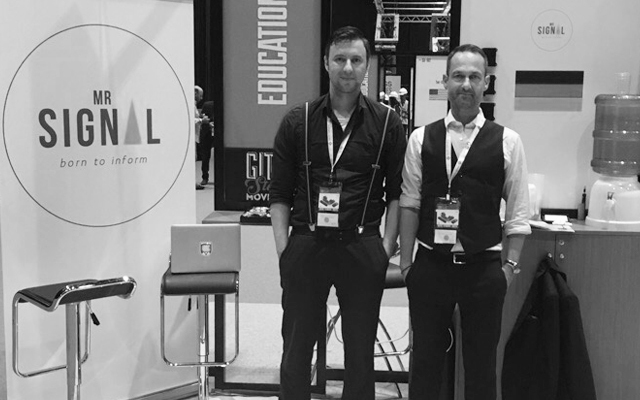 Gitex is one of the world's largest technology and start-up trade fairs. 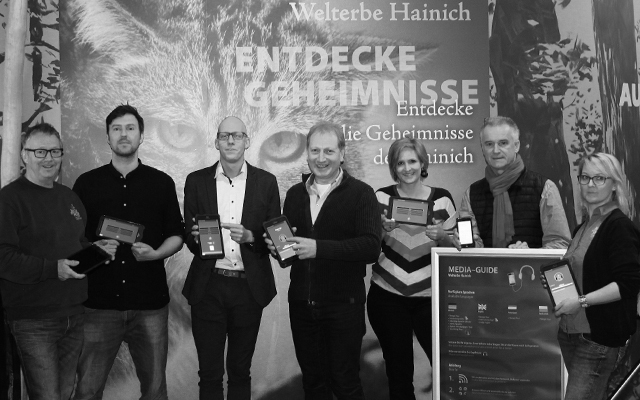 Visitors from all over the world were amazed by the latest technology trends and selected start ups. For Mr. Signal, the invitation and participation in the trade fair was a further consistent step in the international markets. We are particularly pleased with the great interest in our patented "made in Germany" technology. If you want to protect nature, you have to develop an awareness first. National parks are implementing this motto of the founders of natural reserve. UNESCO gives the title of World Natural Heritage to institutions because of their uniqueness, authenticity and integrity. We are very proud to have equipped this National Park with our Mr.Signal technology. 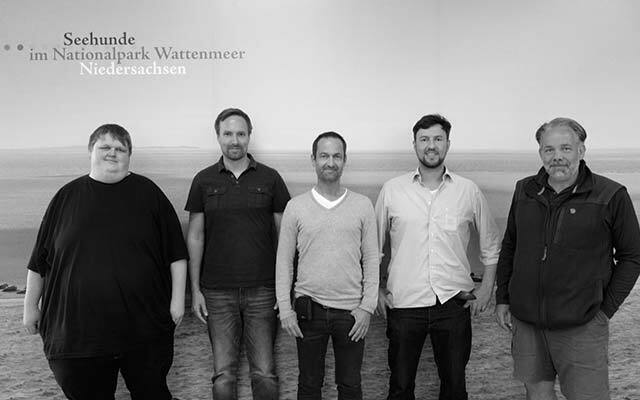 Thus the National Park Wattenmeer not only jumps into the digital age, but also awareness is aroused by media support on site and in many languages. Targeted knowledge transfer creates awareness and consciousness turns things into good. Especially our nature needs more of this attention in periods of economic growth. The modell-hobby-spiel is Germany's most popular public fair for the fields of modeling, model railway, creative design, handwork and play. Whether it is a board game, creative workshops or the miniature world around cars, airplanes, ships and railways - an eventful hours of 90,000 square meters are guaranteed. 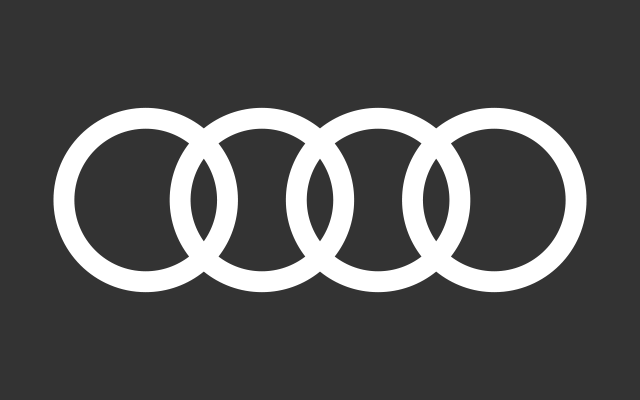 The International Automobile Exhibition (IAA) in Frankfurt am Main and Hannover is one of the biggest and internationally most important automobile trade fairs in the world alongside the Parisian Autosalon, the Detroit Auto Show, the Geneva Motor Show and the Tokyo Motor Show. All major German manufacturers were represented at the home game in Frankfurt with a booth. The SPS IPC Drives exhibition in Nuremberg is an international trade fair for electrical automation, systems & components. SPS IPC Drives takes place annually at the Nuremberg Exhibition Center. 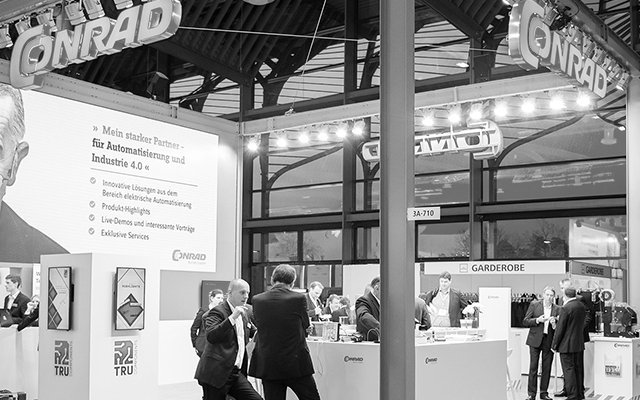 In 2017, 1,675 exhibitors from 45 countries presented themselves. 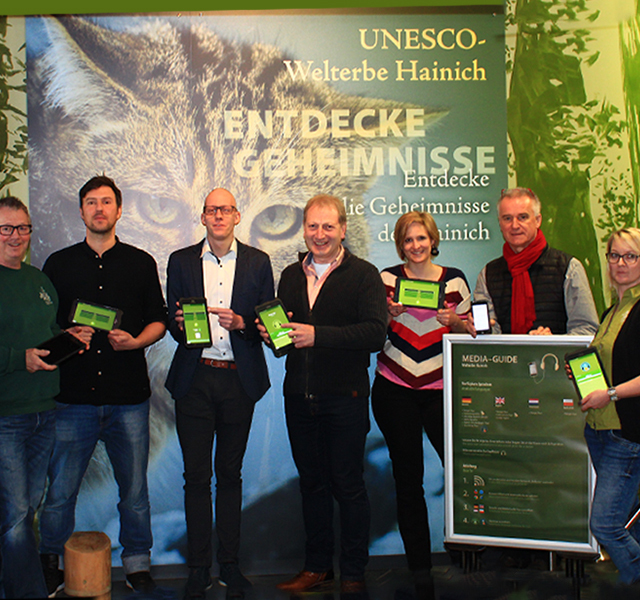 We are particularly proud that the Hainich National Park once again expressed its confidence in us for the realization of a barrier-free media guide for the new permanent exhibition "Welterbe". The new Mediaguide for the exhibition World Heritage, analogous to the "Wurzelhöhe-Mediaguide", offers additional pictures, texts and videos in abundance. 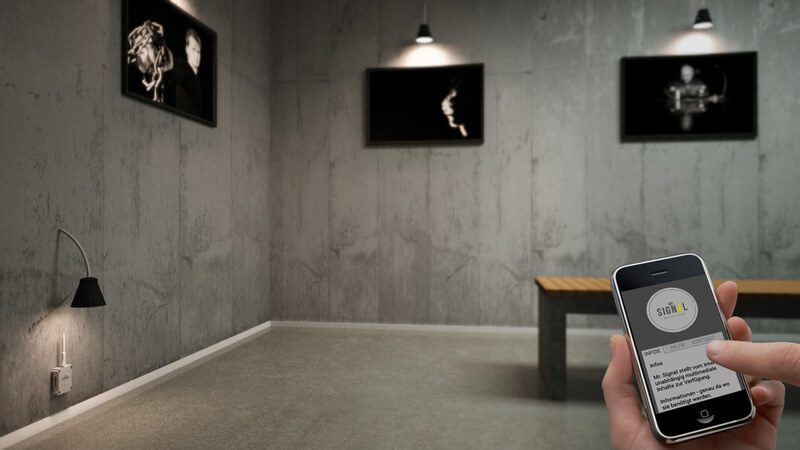 The technology uses the visitor on a tablet to borrow or on their own mobile phone. The special features: All information has been prepared in German, Polish, Dutch and English as well as in the variants "easy to understand", "lively language" (for people with visual restrictions) and sign language. There is also a digital scavenger hunt for children, which of course is rewarded with prizes. Contact us - we will find a solution. You are the speaker. Mr.Signal is the megaphone. A young company. With over 90 years of experience. Founded in 2012, Mr.Signal started, with two employees at first, with the development of the technical architecture and the implementation of the first Mr.Signal Base prototypes. 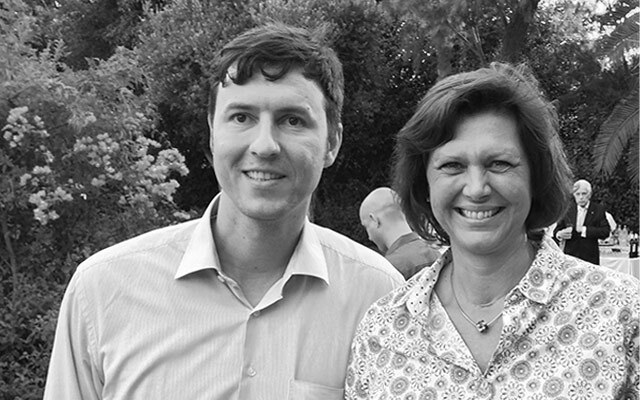 As soon as one year on, the concept was stable enough to register the first patent. 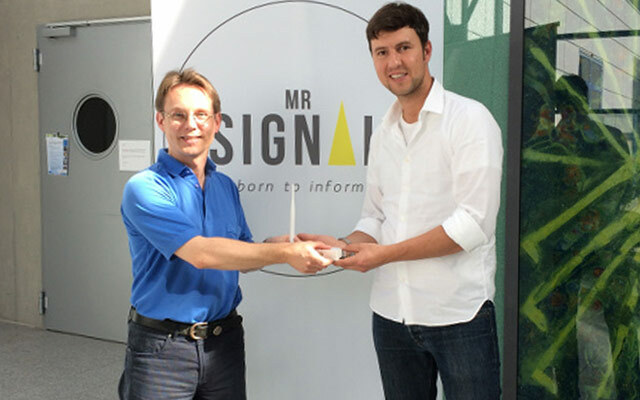 And Mr.Signal GbR became Mr.Signal GmbH. The principle of internet-independent information transfer was maintained and the company focused on developing different individual solutions for the most diverse range of applications. We are always looking for bright minds in a range of areas. Are you a customer service representative, software architect or nerd with a desire to work for an innovative company? Contact us and become a part of Mr.Signal. Contact us. 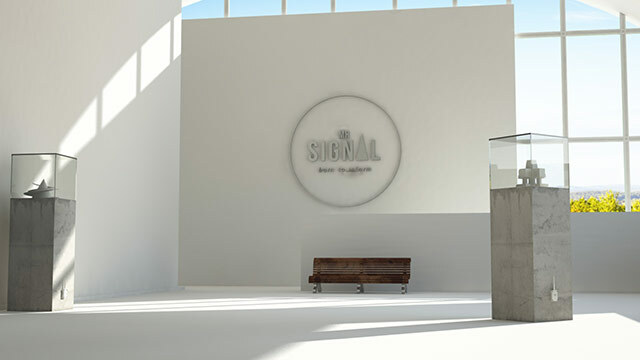 We would be pleased to come to you to introduce you to the capabilities of Mr.Signal. We are very delighted that you have shown interest in our enterprise. 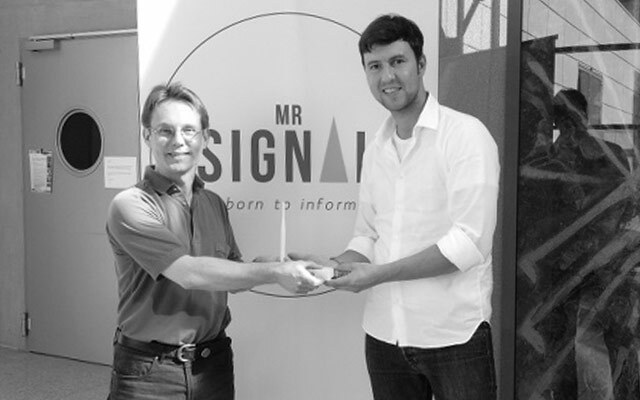 Data protection is of a particularly high priority for the management of the Mr.Signal GmbH. The use of the Internet pages of the Mr.Signal GmbH is possible without any indication of personal data; however, if a data subject wants to use special enterprise services via our website, processing of personal data could become necessary. If the processing of personal data is necessary and there is no statutory basis for such processing, we generally obtain consent from the data subject. 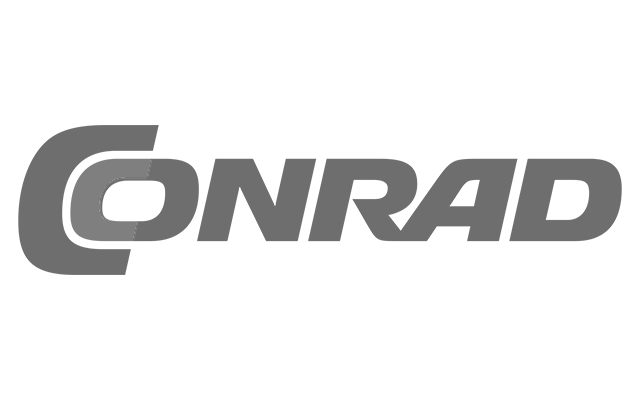 The processing of personal data, such as the name, address, e-mail address, or telephone number of a data subject shall always be in line with the General Data Protection Regulation (GDPR), and in accordance with the country-specific data protection regulations applicable to the Mr.Signal GmbH. By means of this data protection declaration, our enterprise would like to inform the general public of the nature, scope, and purpose of the personal data we collect, use and process. Furthermore, data subjects are informed, by means of this data protection declaration, of the rights to which they are entitled. 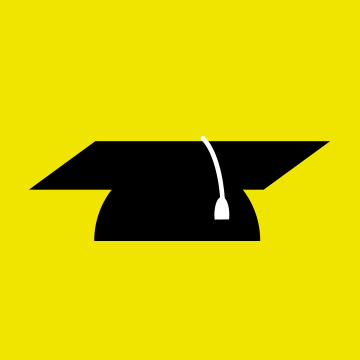 As the controller, the Mr.Signal GmbH has implemented numerous technical and organizational measures to ensure the most complete protection of personal data processed through this website. However, Internet-based data transmissions may in principle have security gaps, so absolute protection may not be guaranteed. For this reason, every data subject is free to transfer personal data to us via alternative means, e.g. by telephone. 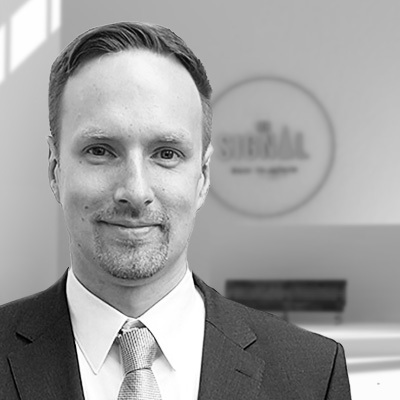 The data protection declaration of the Mr.Signal GmbH is based on the terms used by the European legislator for the adoption of the General Data Protection Regulation (GDPR). Our data protection declaration should be legible and understandable for the general public, as well as our customers and business partners. To ensure this, we would like to first explain the terminology used. 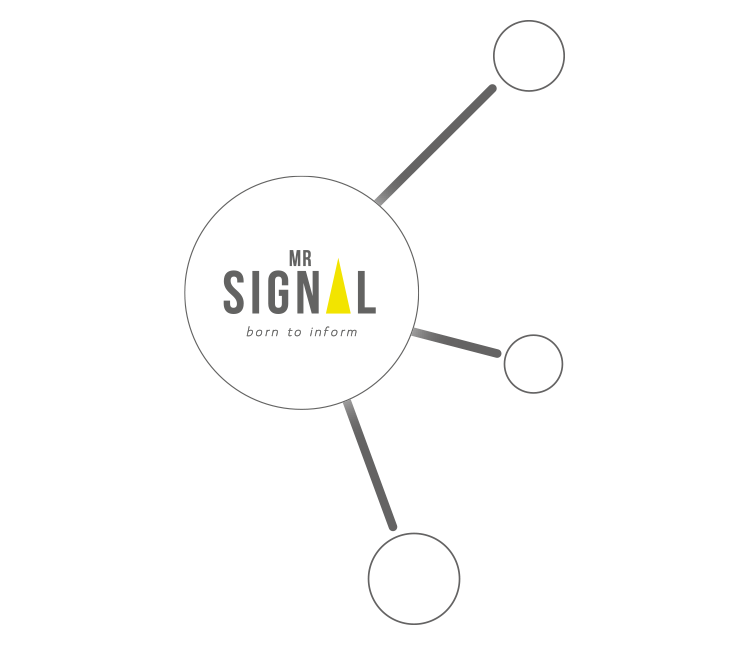 The website of the Mr.Signal GmbH collects a series of general data and information when a data subject or automated system calls up the website. This general data and information are stored in the server log files. Collected may be (1) the browser types and versions used, (2) the operating system used by the accessing system, (3) the website from which an accessing system reaches our website (so-called referrers), (4) the sub-websites, (5) the date and time of access to the Internet site, (6) an Internet protocol address (IP address), (7) the Internet service provider of the accessing system, and (8) any other similar data and information that may be used in the event of attacks on our information technology systems. When using these general data and information, the Mr.Signal GmbH does not draw any conclusions about the data subject. Rather, this information is needed to (1) deliver the content of our website correctly, (2) optimize the content of our website as well as its advertisement, (3) ensure the long-term viability of our information technology systems and website technology, and (4) provide law enforcement authorities with the information necessary for criminal prosecution in case of a cyber-attack. Therefore, the Mr.Signal GmbH analyzes anonymously collected data and information statistically, with the aim of increasing the data protection and data security of our enterprise, and to ensure an optimal level of protection for the personal data we process. The anonymous data of the server log files are stored separately from all personal data provided by a data subject. 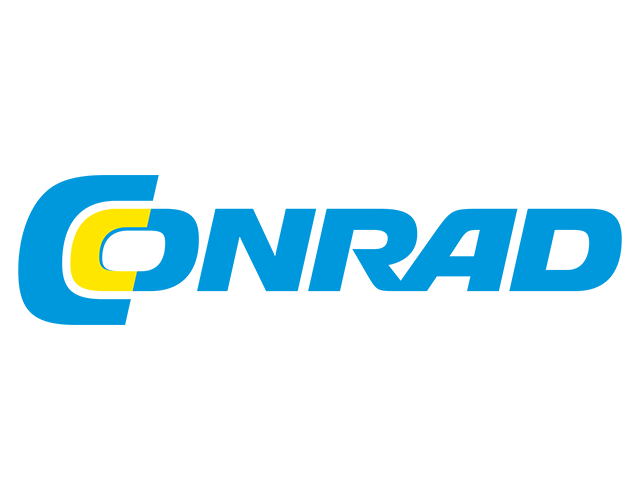 If one of the aforementioned reasons applies, and a data subject wishes to request the erasure of personal data stored by the Mr.Signal GmbH, he or she may, at any time, contact any employee of the controller. An employee of Mr.Signal GmbH shall promptly ensure that the erasure request is complied with immediately. Where the controller has made personal data public and is obliged pursuant to Article 17(1) to erase the personal data, the controller, taking account of available technology and the cost of implementation, shall take reasonable steps, including technical measures, to inform other controllers processing the personal data that the data subject has requested erasure by such controllers of any links to, or copy or replication of, those personal data, as far as processing is not required. 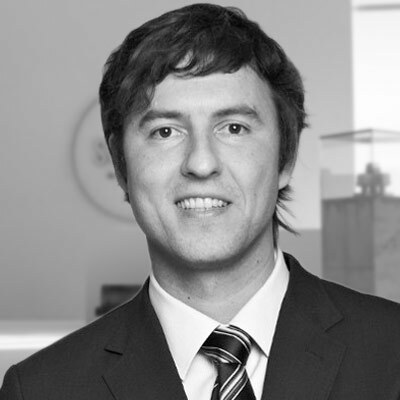 An employees of the Mr.Signal GmbH will arrange the necessary measures in individual cases. If one of the aforementioned conditions is met, and a data subject wishes to request the restriction of the processing of personal data stored by the Mr.Signal GmbH, he or she may at any time contact any employee of the controller. The employee of the Mr.Signal GmbH will arrange the restriction of the processing. In order to assert the right to data portability, the data subject may at any time contact any employee of the Mr.Signal GmbH. 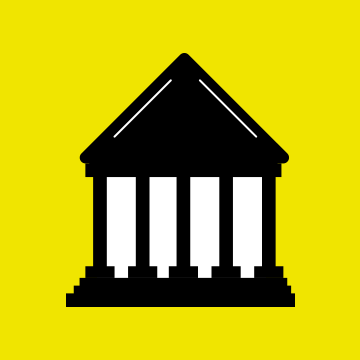 The Mr.Signal GmbH shall no longer process the personal data in the event of the objection, unless we can demonstrate compelling legitimate grounds for the processing which override the interests, rights and freedoms of the data subject, or for the establishment, exercise or defence of legal claims. 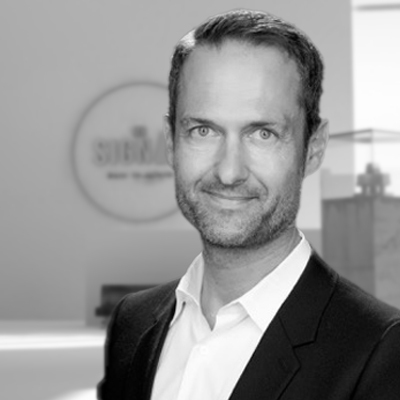 If the Mr.Signal GmbH processes personal data for direct marketing purposes, the data subject shall have the right to object at any time to processing of personal data concerning him or her for such marketing. This applies to profiling to the extent that it is related to such direct marketing. If the data subject objects to the Mr.Signal GmbH to the processing for direct marketing purposes, the Mr.Signal GmbH will no longer process the personal data for these purposes. In addition, the data subject has the right, on grounds relating to his or her particular situation, to object to processing of personal data concerning him or her by the Mr.Signal GmbH for scientific or historical research purposes, or for statistical purposes pursuant to Article 89(1) of the GDPR, unless the processing is necessary for the performance of a task carried out for reasons of public interest. 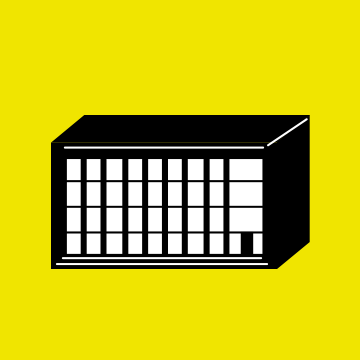 In order to exercise the right to object, the data subject may contact any employee of the Mr.Signal GmbH. In addition, the data subject is free in the context of the use of information society services, and notwithstanding Directive 2002/58/EC, to use his or her right to object by automated means using technical specifications. If the decision (1) is necessary for entering into, or the performance of, a contract between the data subject and a data controller, or (2) it is based on the data subject's explicit consent, the Mr.Signal GmbH shall implement suitable measures to safeguard the data subject's rights and freedoms and legitimate interests, at least the right to obtain human intervention on the part of the controller, to express his or her point of view and contest the decision. If the data subject wishes to exercise the rights concerning automated individual decision-making, he or she may, at any time, contact any employee of the Mr.Signal GmbH. If the data subject wishes to exercise the right to withdraw the consent, he or she may, at any time, contact any employee of the Mr.Signal GmbH.